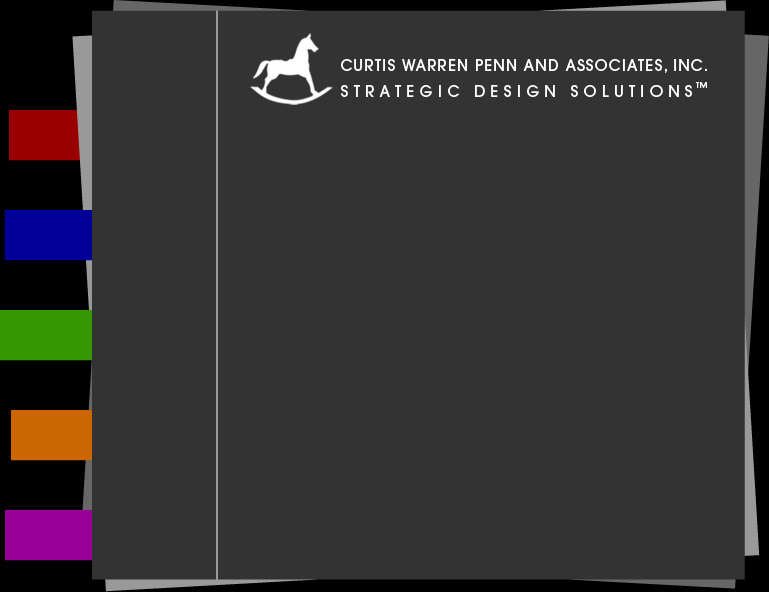 The following document is a style guide to assist in the production, implementation and continuing development of the Curtis Warren Penn and Associate, Inc website. 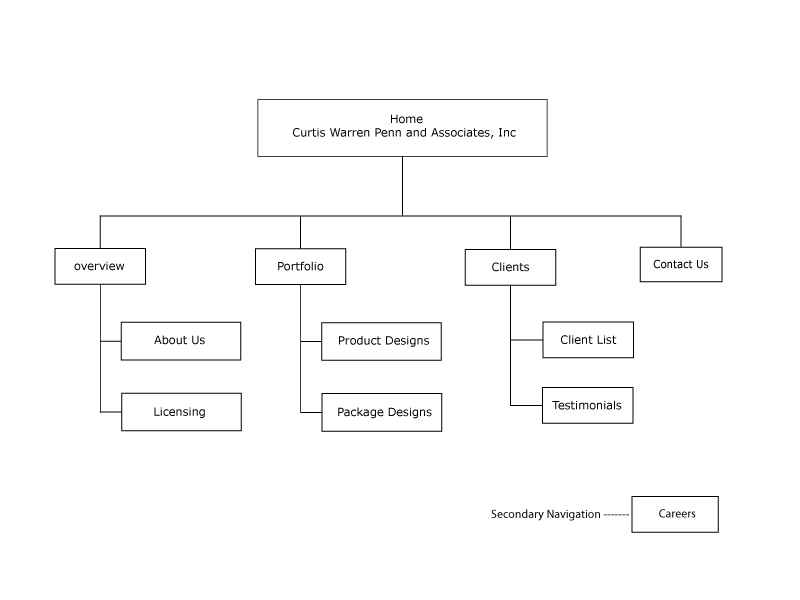 This document outlines the overall file structure, naming conventions, design and coding guidelines, styles and resources used in the construction of this site. To ensure design continuity and maintain the life span of this site, it is important that everybody involved in the development, maintenance and updating of this site read, understand and adhere to these guidelines. 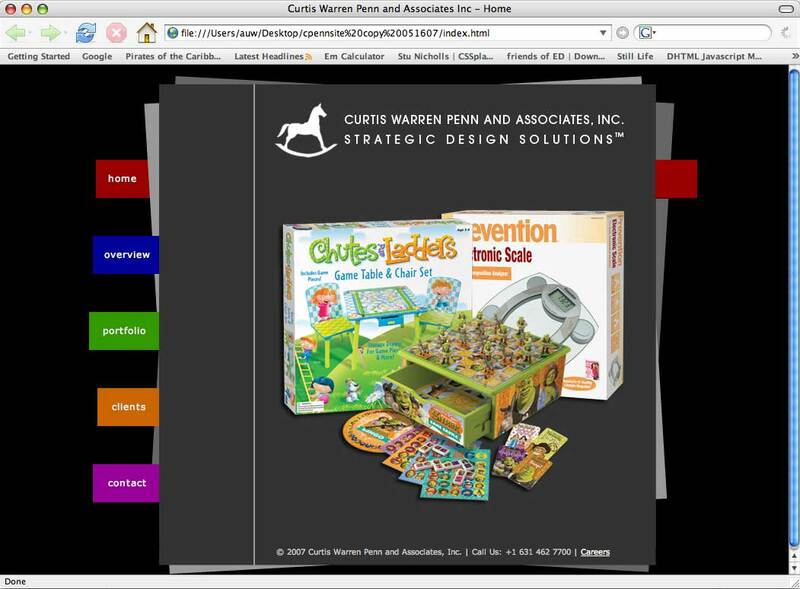 This sections details the minimum coding standards required by the Curtis Warren Penn and Associates, Inc site. This site is designed to the XHTML 1.0 Strict and CSS2.1 specifications as laid down by the WC3(World Wide Web Consortium). All new and existing pages must aim to validate against these specifications. All pages should use the Unicode ISO-8859-1 character set. Page descriptions should describe the content and purpose of the page in 1-3 short sentences. 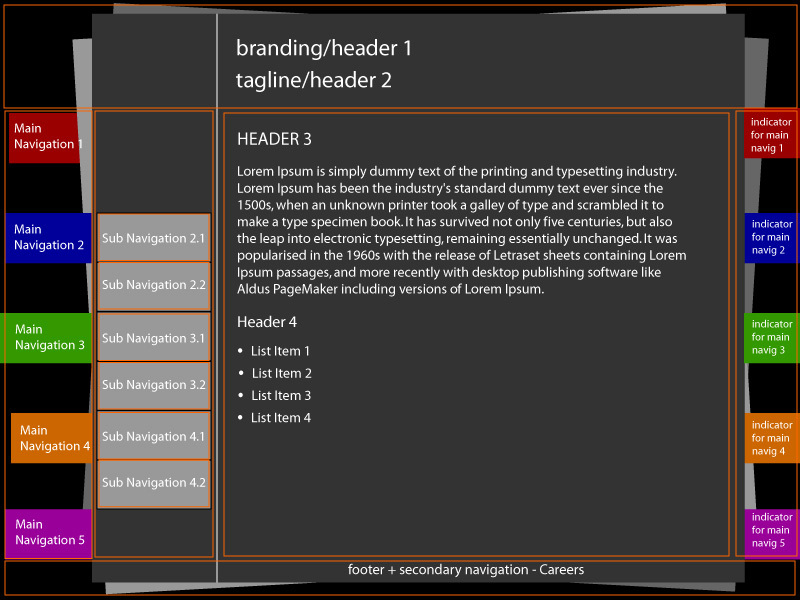 Page keywords are used to add synonyms and additional meaning to a page. Keywords should not be used to add irrelevant or unrelated words to a page. The text within links should be unique and describe the destination of the link. Links saying “Click Here” or “More” should be avoided. Links that open in a new window should be avoided. However if there is a good usability reason for doing so (i.e. providing contextual help), the link text must inform the user. Links to downloadable documents – such as PDF’s – should contain the document size, format and the fact that they are downloads rather than links to another page. This document contains details of all the styles used on this site, how they are applied and how they are rendered. 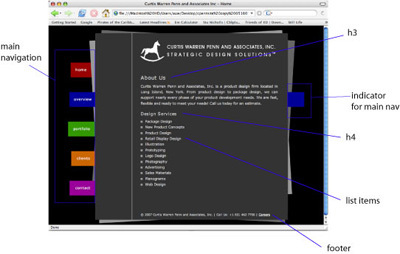 This document contains useful resources for the site such as links and descriptions of all the XHTML and CSS files used, links to Photoshop templates and further coding resources.